Recently Google announced the new Android device manager feature to all its android user to track and find lost Android device and same feature is also available for the iOS device to tracks lost phone. Lots of other free applications and services are available on the internet which allow you to track your mobile phone, recover your Lost or Stolen Digital Camera and also helps you to recover stolen laptops. 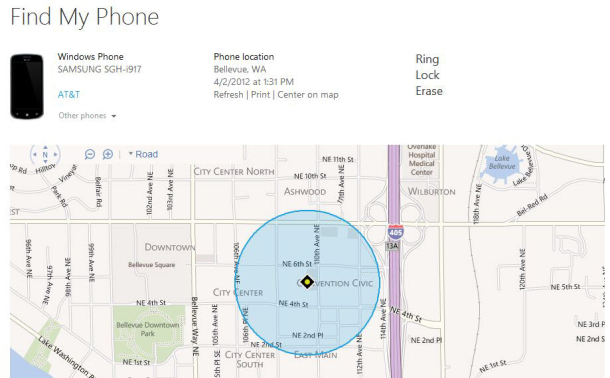 If you are the Windows phone user then you have to try the Microsoft free web service Find my Phone, which allows you to locate your phone, remotely lock it, erase its data, or make it ring. The web service is free to use and all you hvae to register the web service with your Windows phone email account and you can easily tract your lost device on the maps. In this tutorial, I’ll show how you can use this service and enjoy the benefits of Find My Phone web service to find your phone or erase it data remotely. To get started visit this Microsoft Windows phone link www.windowsphone.com/en-us/my, login with your Microsoft email account that you are using on your Windows phone. After that you can see the option to trace and locate your device. From here click Find My Phone and follow the onscreen instruction and you will the last location of your device on the maps. On the same page you will see some more options like Lock your device, Erase the data remotely and ring. With the Ring feature you will make your phone ring remotely. Just hit the Ring Option form the page and you device will ring even if the volume is off or it’s on vibrate mode. 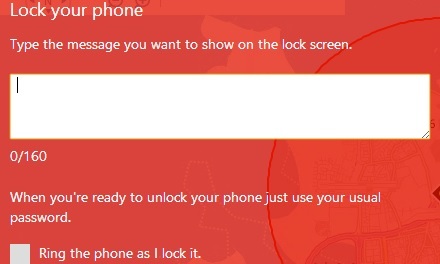 With the Lock Feature, you can easily lock your device with a password and a text message. If you don’t already have a password set up on your windows phone, you’ll need to enter one and phone will lock with the password and no once can unlock it without the password. Last option is Erase Data, With the helps of this feature you can easily erase all the data from your device remotely. So no one can access your data if your lost your device. This feature will Factory reset your phone deleting all your files and apps. 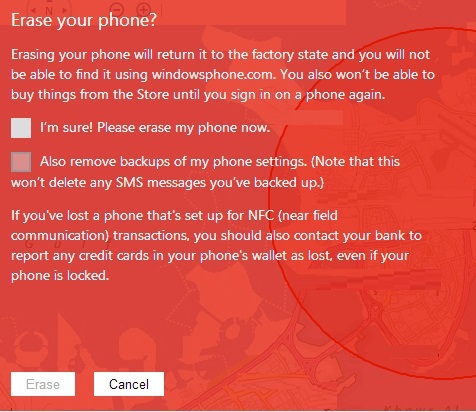 With this way you can easily track and find your lost windows phone or even lock and erase the data remotely. You have to must try this feature when you lost your device. I you are facing some problem to use the Windows Find my Phone service then do check the Microsoft support guide here.